The new work looks to build trust among young moms. Welch’s is a company that has been making juices, jams, jellies and other fruit products for nearly 150 years. You’re almost certainly familiar with the brand, as its products line the aisles of nearly every supermarket and corner store in the United States. But a quick glance at the category reveals an increasingly competitive landscape filled with smoothies, drinkable yogurts and supplements promising all sorts of unverifiable health benefits. It’s hard out there for a traditional juicemaker. 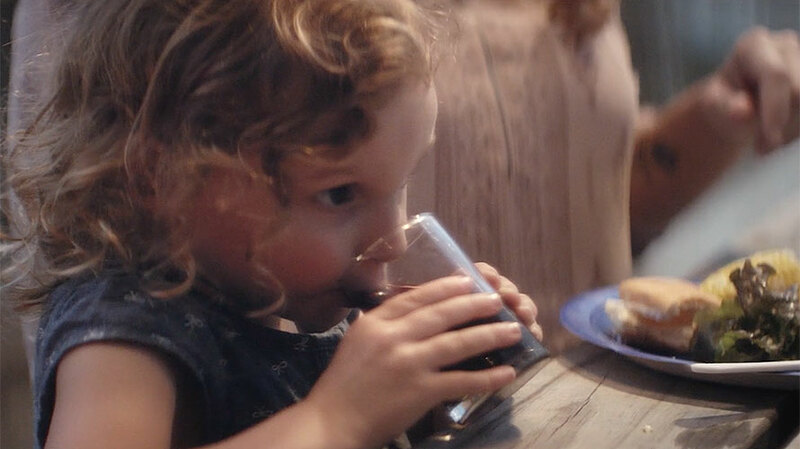 Now, Welch’s has a new agency, a rebranded campaign and a fresh marketing strategy to help it stand out due, in part, to a truly unique business model that has been unchanged for the past 60 years. IPG’s digitally-led creative shop Genuine, which is now officially agency of record for Welch’s, launches its first national broadcast effort, “Farmer Owned. Family Grown,” today. The new work primarily targets moms looking to make healthy choices for their families, and the strategic shift was driven, in large part, by insights drawn from social media. 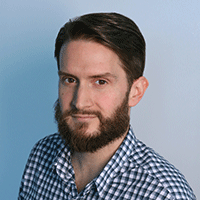 “We saw an opportunity to evolve both the substance of the message and the placement of/engagement with that message,” said Welch’s CMO David Eisen, noting that the company sought to become more digitally-oriented “for obvious reasons.” The brand has long focused primarily on TV spots like the ones above and below for maximum exposure. Welch’s has been owned by the National Grape Cooperative Association since 1956 and is best known for its dark, Concord-flavored products. Its roster currently includes more than 900 family farm owners. 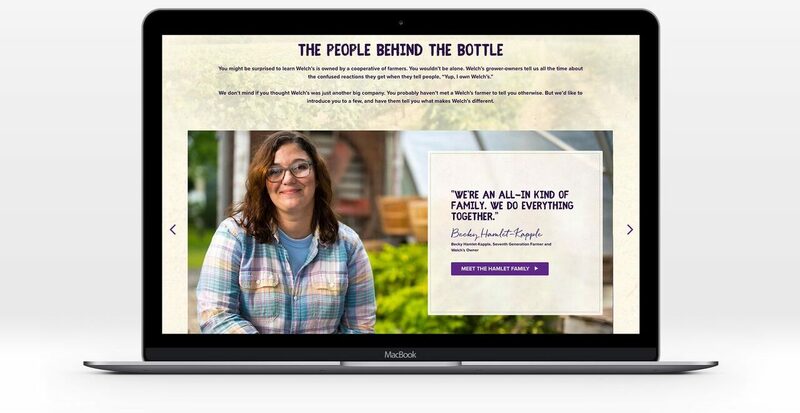 Genuine had been Welch’s digital and social media agency since winning a 2016 review, and over time the agency convinced the client that it could move closer to its key consumers by focusing on engagement and customer feedback. On that note, Eisen said, “Our identity is all around the grape. Our proceeds go back to our owners, and our responsibility is to bring the Concord and Niagara grape to life in the way that best benefits consumers.” In an era fraught with concerns about GMOs and artificial sweeteners—with corresponding marketing messages—Welch’s has a simple and compelling value proposition. 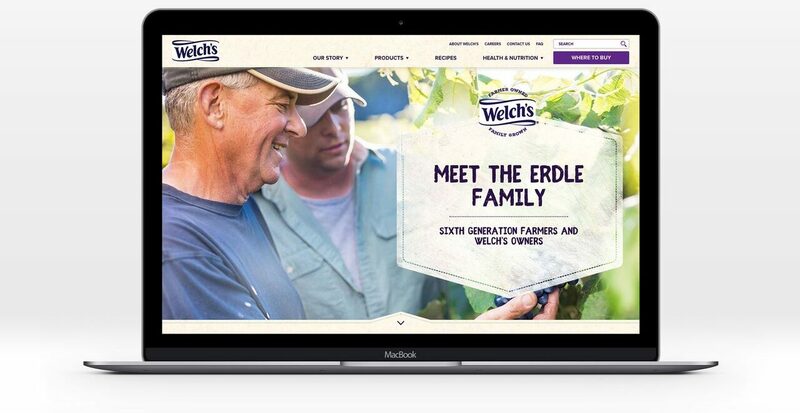 In focusing on both its products’ inherent healthy benefits and the small-scale agriculture behind its business, Welch’s hopes to use what Eisen called “the voice of the farmer” to speak for the larger brand. Beyond the TV spots, this will also be a truly integrated campaign including radio and display ads, paid search, long-form videos and assorted content to be shared on Facebook, Twitter, Pinterest and Instagram. Genuine also redesigned the company’s website, and a packaging revamp will roll out this fall. 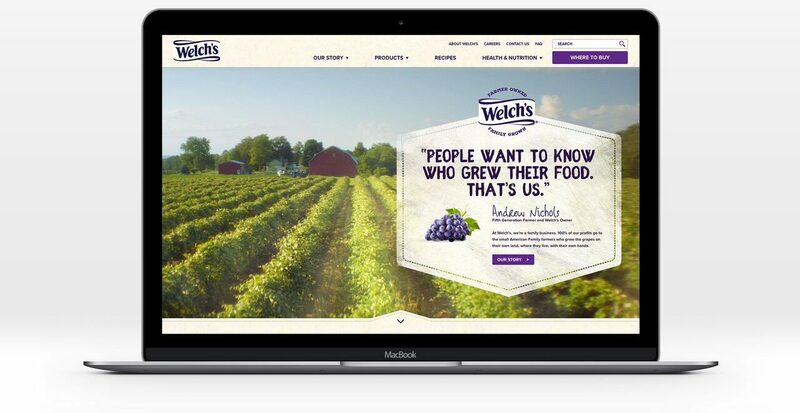 According to Pape, Genuine’s next digital-only effort will focus on the farmers themselves, drawing from hundreds of hours of footage shot onsite to help bring consumers closer to Welch’s co-op culture.